When it comes to high-quality design, the precision German engineering you'll find on the 2018 Volkswagen Atlas is hard to beat. It has classy European styling and plenty of space--more headroom than the 2018 Traverse, for example. 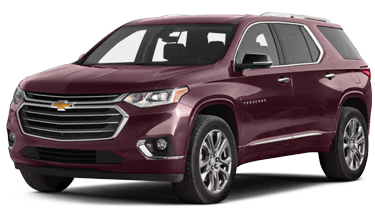 It also comes standard with features like standard roof rails and LED headlights, which are only available as more expensive upgrades in the 2018 Chevy Traverse. In terms of performance, the 2018 Volkswagen Atlas benefits from precision German engineering that gives the base engine better fuel efficiency in the city, so you can take your family wherever you need to go and wait longer between trips to the gas station. You can also upgrade the 2018 VW Atlas to a stronger V6 engine for more power than the standard turbocharged engine offers. 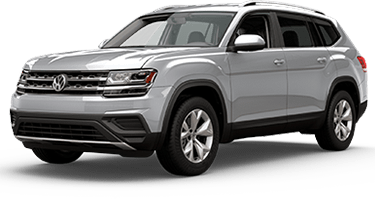 What's more, the 2018 VW Atlas comes with a powertrain warranty of 72 months or 72,000 miles, compared to the 60 months or 60,000 miles that the Traverse has, so you can be sure that the quality is guaranteed to last. Both the 2018 Volkswagen Atlas and the 2018 Chevrolet Traverse are safe vehicles, with plenty of standard and available features to keep you and your family protected. When you choose the 2018 VW Atlas, however, you'll be getting a vehicle that goes the extra distance for better safety. The standard LED headlights we mentioned above offer outstanding visibility in the dark while seatbelt pretensioners are standard in the front and rear seats of the VW Atlas unlike the Chevy Traverse that only has them on the front seat belts. The precision German engineering of the 2018 VW Atlas is truly a thing of beauty, so head to Carter Volkswagen today to take one for a test drive!